Sports Teams Do This; You Should, Too! Football teams that compete at a high level review hours of their opponent’s game film. Similarly, you’ve already reviewed frequently-tested ACT topics. 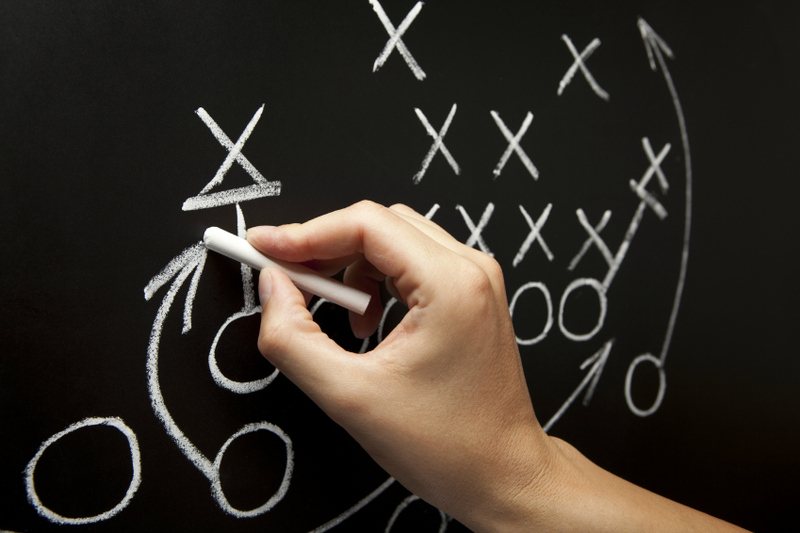 Teams spend hours implementing a game plan and strategy. You’ve already taken self-timed, self-scored practice tests–you’re that serious! Before the big game, teams will have a walk-through, going over strategy one more time to make sure the game plan is fresh on their minds and fine-tuned. Now is your time to put the final pieces in place, fine-tune your strategy, and build confidence before you step into the academic arena on Saturday. Here’s part one of that final walk-through to put the finishing touches on your ACT Prep. You won’t be surprised that we start with English because, as you already know, it’s the first section you’ll see on Saturday. There will be 75 items. I’ll have 45 minutes. (I like to tell myself that’s about 30 seconds per item. It makes keeping track of time easy: if I have 10 items left, I should have about 5 minutes left.) There will be 5 passages, each with 15 items. I expect the first 11 or 12 items to ask me to evaluate local issues–fix sentences, fix transitions, etc. I expect the last few items to ask me to evaluate on a larger scale–analyze paragraph arrangement, determine purpose of passage, etc. So, as I read through a passage, I need to be able to focus on details while piecing together the big picture. I know I’ll need to do this for five passages. I’ve shared part of my thought processes; spend some time creating your own strategy for tackling the ACT English section. Now it’s time for action. Grab a released ACT English test. If needed, print from the latest guide released by ACT. Rehearse your expectations and game plan. Then open the exam and skim through the items–not necessarily working them–to test your expectations. Make notes on anything that surprised you or anything you may need to remind yourself of later in the week. Do you have any tips you would like to add? Please post below. We look forward to reading your comments. Look for the 36U Week-Before-the-ACT Guide Part 2 tomorrow!